LHD 450 5ltr that is a rare sight here in Australia. Look at the tail lights they are non spec for the Aussie market? Bryce did you see how many miles the car has on the clock? Last edited by 260ebenz; 20th December 2017 at 08:43 AM. Yes correct. The taillights are USA spec I think. 107.026 are still somewhat reasonably priced in the USA compared to europe, so the place to get one, if you want it. Didn't get the mileage but I did confirm its a real one. Just imported. Its at the body shop to have side intrusion beams fitted for compliance. Will then go to the mechanics shop for RHD headlights etc. 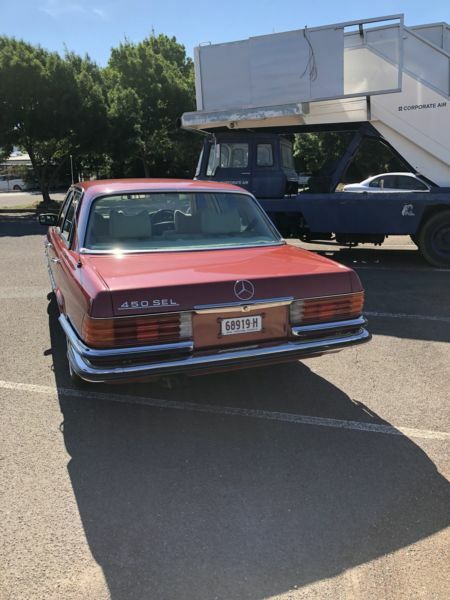 Quite a rare Benz, especially in that colour! and top it off that they are generally not cheaper than a RHD local car. 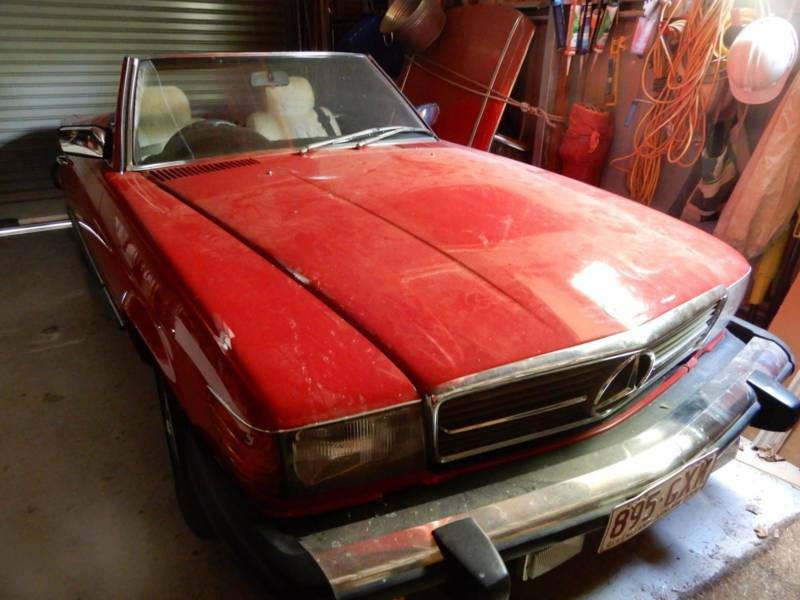 What is your opinion of this 1974 450SLC? $54K for a 450 and it’s the SLC model. only asking $500USD, but that is $500 too much. Apparently 'George Daimler' signed off on a special run of 500SLs as opposed to the 380, or presumably the normal 500SL. 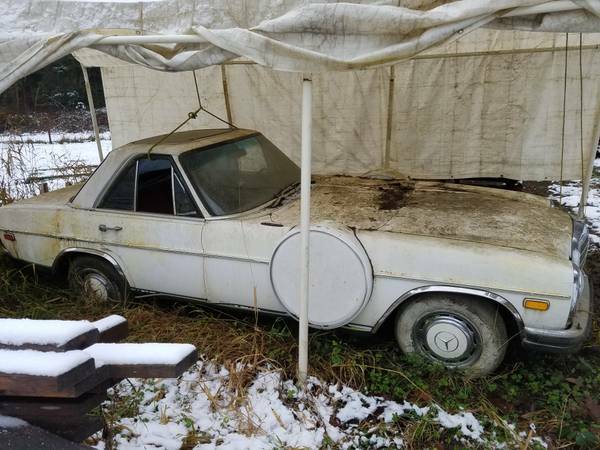 Given this one has railway sleeper bumpers its probably a USA 380SL with a 500 badge glued to it. Not only that but there is a lot wrong with it. How about this nice British import?